Start with a trim - Winter's cold, dry air has likely taken a toll on your strands, so snipping off the dead ends is the first step to freshening up for spring. Scared of scissors? No need to fear, we're not talking a major cut: just a clean-up/trim to take off all the dry, split ends and make hair look and feel healthy. Change shampoos and conditioners - If you've been using a moisturizing shampoo and/or conditioner, consider switching to a formula for normal hair. While the former is great for wintertime and summer, the combo of humid and damp spring air (April showers bring May flowers) and hydrating products may put too much moisture in your hair... which ups the potential for frizz. Ask one of our stylists to help determine what shampoo and conditioner is best for you! Lighten your locks - The days are sunnier, so your hair color should be too! If you typically get highlights, ask your Creations Salon colorist for a technique called balayage. It involves painting the color onto individual strands in a random pattern, rather than the methodical placement of traditional foil highlights. The goal is to create a subtle sun-kissed look, which lasts for months. Dry Shampoos!!!! Extend the life of that blow out! Speak with Denise, Barry or Kathleen about which Dry Shampoo to use and how to apply it. It is a game changer. TAG US FOR A GIFT! Tag @Creations828 or #creationssalonandblowdrybar on any one of your social media posts that shows off your fabulous hair and you will receive a complimentary travel size shampoo and conditioner from one of our boutique lines. Just be sure to give us a shout out so we can follow you too! 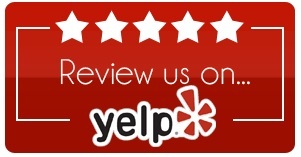 We would be honored if you would review Creations by Kathleen Salon on YELP and GOOGLE! Visiting a new salon for the first time can be a stressful and worrisome experience, which is why on-line reviews can help. 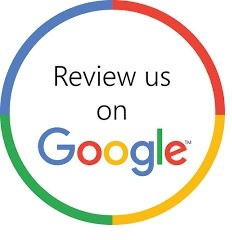 Please take the time to visit Yelp and Google Maps, search for Creations By Kathleen Salon and leave a detailed review of your experience with us.